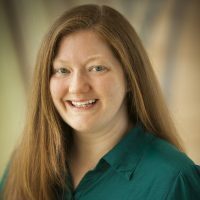 Heather Marie Wells is the digital media project manager at Crystal Bridges Museum of American Art in Bentonville, AR. Heather Marie’s projects have received numerous awards from museum associations at the state, regional, and national levels. She has presented numerous times at the Arkansas Museums Association (AMA), the Southeastern Museums Conference (SEMC), and the American Alliance of Museums (AAM). In 2008 she was named the SEMC Emerging Professional of the Year, and the Arkansas Museums Association’s Staff of the Year in 2012. She is the Vice President of the Arkansas Museum Association, serving her second term as a Board Director for SEMC, and is a board member of the AAM Media & Technology Professional Network. Heather Marie is a passionate believer in the ability of technology to educate, excite, and engage people by forming personal connections between museums and the public.